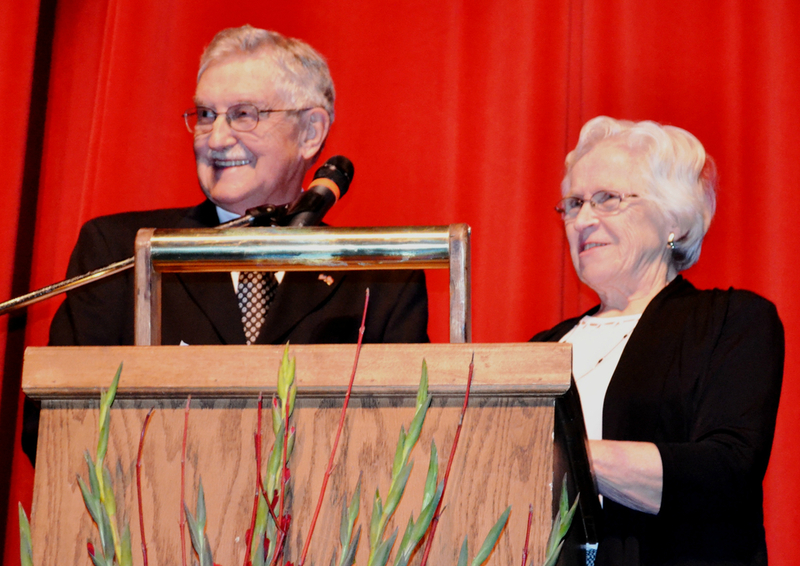 On November 15th, two long time YFU volunteers and host parents, George and JoRae Sarsten were awarded the 2013 Jeannette Rankin Peace Award (presented by the Rocky Mountain College, MT Institute for Peace Studies). This prestigious award recognizes ordinary citizens, living ordinary lives, while doing extraordinary things for peace. George and JoRae join U.S. Senator Mike Mansfield, U.N. Ambassador George McGovern, Archbishop Raymond Hunthausen, and other peacemakers who have been recognized with this award. For the past 26 years, George and JoRae have devoted their energy, experience and empathy to ensure the well-being of more than 145 exchange students, having personally hosted 21 students themselves. Making the world their home, they’ve even traveled across the Pacific to Japan and South Korea to reunite with past exchange students. Today, the principles of youth exchange hold just as much relevance as ever. By hosting each others’ children, we come to understand that our similarities are greater than our differences. George and JoRae embody the generosity of spirit and time that volunteers give to YFU to help adventurous young people become wiser people safely, securely and confidently. Please join us in congratulating George and JoRae and thank you to all of our volunteers across the globe for helping shape our collective future, one student at a time. categories General Stories, Go Global!